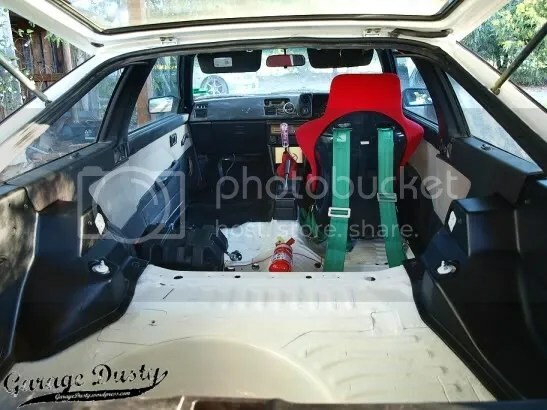 Nearly There: The 86’s interior transformation – Garage Dusty Exciting Car Team! This has been a pretty big project, and we’re not quite done yet. As you can see, the entire floor has been treated to a few coats of fresh white paint. 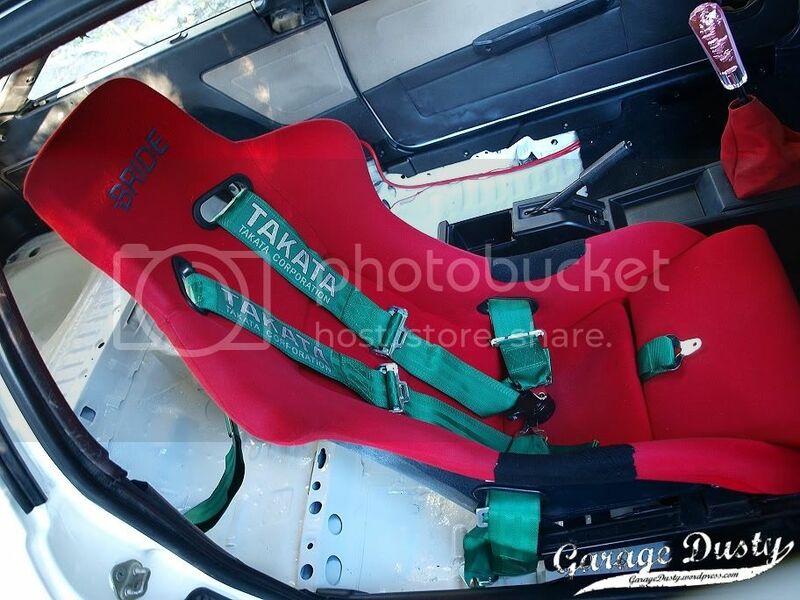 While I was at it, the seat was pulled apart and cleaned, and came up almost like new. As my AJPS harness bar hasn’t arrived yet the new harness is just loosely mounted to the floor. It’ll be properly mounted soon. I have also added a fire extinguisher on the tunnel, next to the battery kill switch. 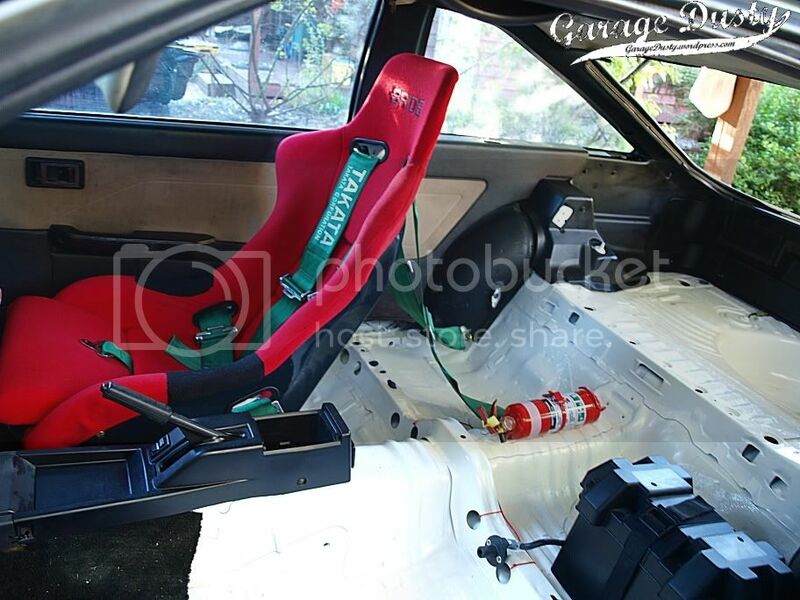 The console has been painted and ziptied in place, and the handbrake lever has copped a coat of paint too. Everything you see here was done on a very small budget, with all the work done myself (with some help from my dear Mother!). I think with that in mind the results are pretty awesome. And I found $1.10 while doing it, which is a nice result! Hardly anything left to do now. Will be driving it everywhere real soon. Just as an aside, I know I’ve only be featuring this car lately. I have plans to shoot some features on some cars in the next few weeks, and I’ll also be at ADGP next weekend as the special guest of none other than the world famous Flecknology Racing, so you can expect some more variety coming soon!